Do you love to swim? It is a sport that you can continue doing for a lifetime because there is no impact in this sport. And do you know that master of fitness, Jack La Lanne, who passed away at age of 97, he used to swim every day for an hour at age of 93. And it can improve your body endurance, the study showes that sedentary middle aged men and women who did the swimming training for 12 weeks, show that their oxygen consumption improved by 10% and the stroke volume for the amount of blood pumped at each beat increased 18%!! And do you now that swimming is good for those people who injured their ligaments, or having some old injuries. The resistance of the water makes the muscles to work hard without strain and less impact when working out on the ground. And I came across http://sglearnswimming.com! If you’re interested to sign up for swimming lesson, stop learning from multiple swimming coaches that have trouble deliver consistent result and hard to conduct swimming class on a weekly basis. 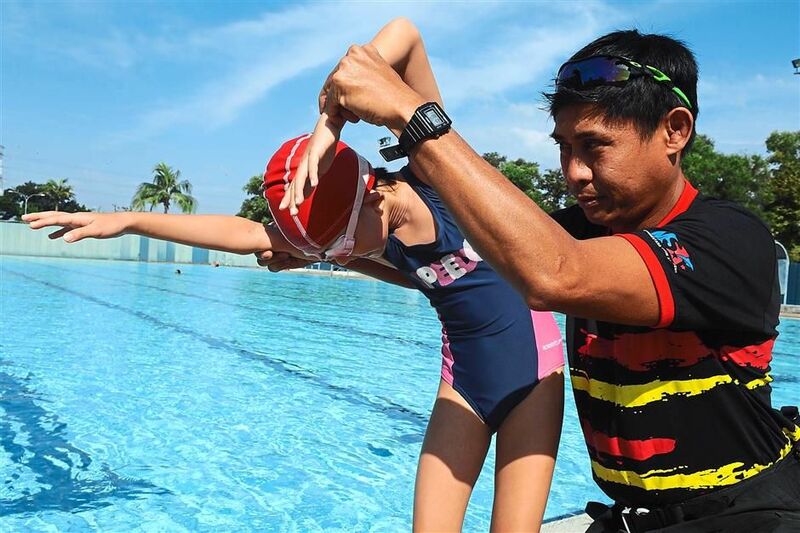 Try http://sglearnswimming.com , their motto is to make sure every learner is safe and happy in and about water, learning swimming in a fun, natural and progressive manner and all the hands of sincere and dedicated teachers. http://sglearnswimming.com don’t rest on Saturday and Sunday so you can learn how to swim on your rest days!!! 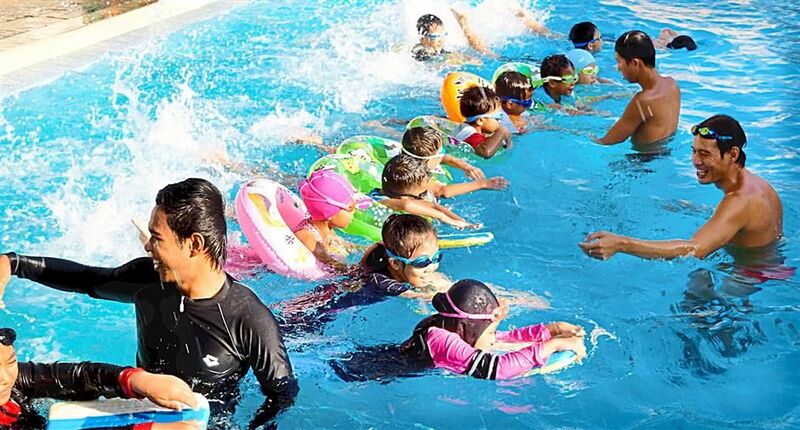 Swimming at early age can help to build child self confidence, body awareness, and also general physical co-ordination. The learning activities include water safety skills, breath control skills, buoyancy and flotation, correct holds, kicking and submersion in an increasingly challenging program. -Tadpole-focus is on water safety and an introduction to the aquatic environment for non-swimmers or children that have just graduated from our Infant program and are swimming for the first time without a parent or carer in the water. -Goldfish – focus is on water safety and introduction to freestyle and backstroke. -Flying fish – focus is on further development on freestyle and backstroke. -Octopus – water safety, confidence building, breath control and an introduction to the aquatic environment. Suitable for non- swimmers. -Sardine – water safety, an introduction to freestyle and backstroke. -Salmon – water safety and basic rescue skills, personal survival skills, further development of freestyle and backstroke and an introduction to freestyle breathing. Introduction of survival backstroke. -Tuna – water safety, rescue techniques, personal survival skills, continuation of freestyle, backstroke, survival backstroke, an introduction to breaststroke. -Dolphine– water safety, rescue techniques, personal survival skills, continuation of freestyle, backstroke, survival backstroke, breaststroke, development of butterfly and introduction to sidestroke. -Shark – water safety, rescue techniques, personal survival skills, continuation of freestyle, backstroke, survival backstroke, breaststroke, development of butterfly and sidestroke. Introduction of tumble turns and basic squad drills. Contact http://sglearnswimming.com for more information, it can be tailor to suit your needs. Let's start to swim towards a healthier lifestyle!